Karl Wetlaufer, a hydrologist and assistant supervisor with the National Resources Conservation Service Colorado Snow Survey, gestures to indicate how high snowpack has been in past years at the McClure Pass site. Data collectors would have to climb the rungs up to the second, higher door to access the shelter. For much of the winter, the snowpack at McClure Pass hovered around the second-lowest measurement on record for a 30-year period. By Thursday, March 22, the McClure Pass site and the Independence Pass site had dipped to the lowest ever recorded snow-water equivalent for that date. It’s one thing to read about record low snowpack in a graph, and quite another when you see what it looks like on the ground where the data is gathered. 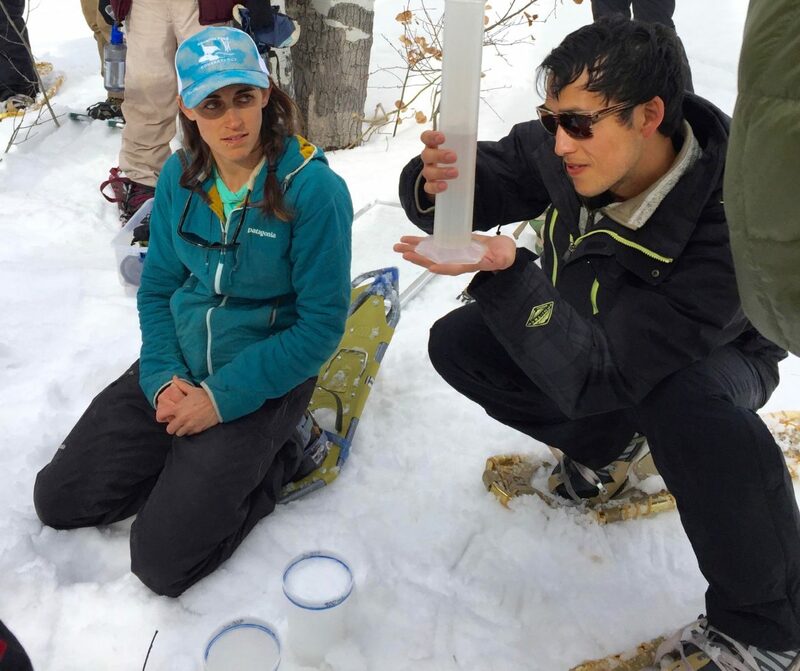 At an early March Water Education Colorado workshop, participants traipsed around McClure Pass on snowshoes digging snow pits, measuring snow depth, and testing the snow-water equivalent of snow samples, looking for clues about this year’s spring runoff. That’s because today’s snow is tomorrow’s water. At the top of the 8,755-foot pass is a SNOTEL (short for snow telemetry) site, which is an automated system of sensors that collect weather and climate data hourly and beam it to the NRCS office in Boise, Idaho. There are 115 SNOTEL sites across Colorado, mostly in remote, mountainous watersheds. SNOTEL sites have a precipitation gauge, a pressure-sensing snow pillow, a snow-depth gauge, and an air temperature sensor. Some enhanced sites measure soil moisture content and humidity. They run on solar panels and also come equipped with a small shelter that housees the cables and wires that run the unit. Currently, the snow-water equivalent at McClure Pass is around 55 percent of normal and the water year-to-date precipitation is around 62 percent. Manual measurements from the group recorded the McClure Pass snowpack at around two feet deep and the snow-water equivalent, which is the liquid content of the snow, measured around 21 percent. The information gleaned from SNOTEL sites as well as from manual measurements by hydrologists can reveal a lot about what to expect from spring runoff. The entire Roaring Fork watershed is at 76 percent for snow-water equivalent and 67 percent of normal for water year-to-date precipitation. The National Resources Conservation Service releases a monthly water supply outlook report based on SNOTEL data. For March 1, the Roaring Fork Basin was predicted to be at 59 percent of average volume for April through July. That dropped to 49 percent of average by mid month. 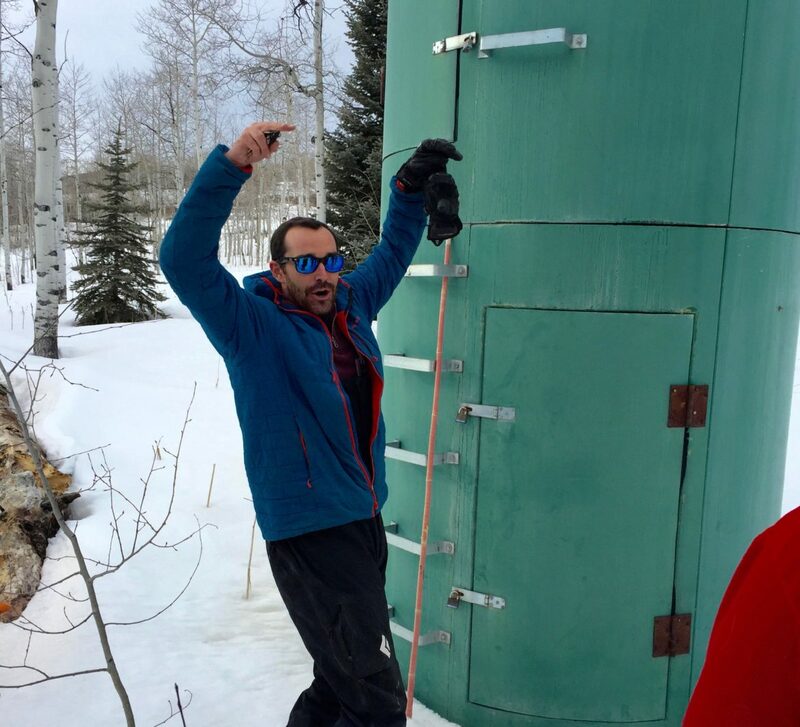 Liza Mitchell, education and outreach coordinator with the Roaring Fork Conservancy, left, and a participant in the Water Education Colorado SNOTEL workshop measure the snow-water equivalent of different layers of the snowpack. The liquid content of snow from this site measured roughly 21 percent. Snow-water equivalent is the best predictor of streamflow volume, but there are other factors that can affect the volume, and especially the timing, of spring runoff. Some of those include the date when the ground becomes free of snow cover, solar radiation, whether there is a layer of dust in the snowpack, and the soil moisture conditions prior to winter’s first hard freeze. Liza Mitchell, education and outreach coordinator with the Roaring Fork Conservancy, explained that an earlier bare ground date means thirsty plants sprout earlier and absorb the water out of the soil, leaving less to flow into streams. Likewise, a dry fall means lower runoff. If dried-out soil froze with empty pore space, the snowmelt will fill these empty spaces in the soil first, instead of flowing into waterways. Dust on snow and solar radiation also can affect streamflow volume and timing. Spring storms from the southwest can deposit a layer of dark-colored dust on top of the snowpack causing it to melt quicker. Sometimes the dust layer is buried several inches or feet down. NRCS streamflow forecasts are created using only the SNOTEL data and don’t take into account these other environmental variables. The reason for this is mostly for simplicity’s sake. NRCS manages about 600 streamflow forecasts throughout the western United States with a limited staff, said Angus Goodbody, a Portland, Oregon-based NRCS forecast hydrologist. A detail of a section of Castle Creek, the city of Aspen’s main water supply. So who could potentially be affected by low stream flows this year? The city of Aspen, for starters. Margaret Medellin, utilities portfolio manager for the city, said she will meet with City Council in April to discuss whether to implement water shortage restrictions in the coming months. The municipality does not have much water storage in the form of reservoirs, and it is required to keep a minimum amount of water in its stream sources of Maroon and Castle creeks. In Stage 1 restrictions, the city would ask residents to voluntarily reduce their water usage by 10 percent in what is essentially an awareness campaign. Stage 2 would require some restrictions on outdoor water use and Stage 3 could ban it altogether. All three stages would see an accompanying increase in water rates. Some irrigators, especially those with lower priority water rights, could suffer as a result of low stream flows. But the biggest loser would probably be instream flows and ecosystems, said Andy Schultheiss, executive director of the Colorado Water Trust. Instream flow rights are typically junior to most other water rights and streams can go dry in years when there isn’t much snowmelt coming down from the high country. One potential solution is a pilot program that would let water rights owners lease water rights to the Colorado Water Conservation Board in order to keep more water in the stream. 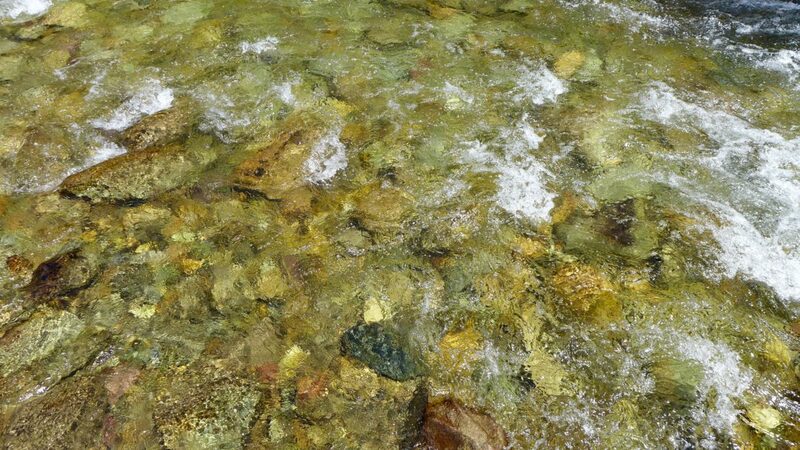 The Colorado Water Trust is a partner in this new voluntary water-sharing program that would benefit the state’s instream flow efforts. Editor’s note: Aspen Journalism is collaborating with The Aspen Times on the coverage of rivers and water. The Times published this story on Saturday, March 24, 2018.